There are currently several seismic swarms ondergoing around the world. Nobody knows when they are going to stop and more frightening what they are going to produce. The earthquake swarm hitting the Yellowstone national Park is currently slowing down, but more than 900 quakes have already hit near West Yellowstone on the western edge of the National Park in the last 2 weeks. But there is virtually no risk of the volcano erupting – USGS hasn’t raised either the volcano alert level or the aviation color. The current earthquake swarm began on June 12. A week later, the USGS put out a statement to say that 464 earthquakes had been recorded, with the largest being magnitude 4.4. This is the highest number of earthquakes at Yellowstone within a single week in the past five years. 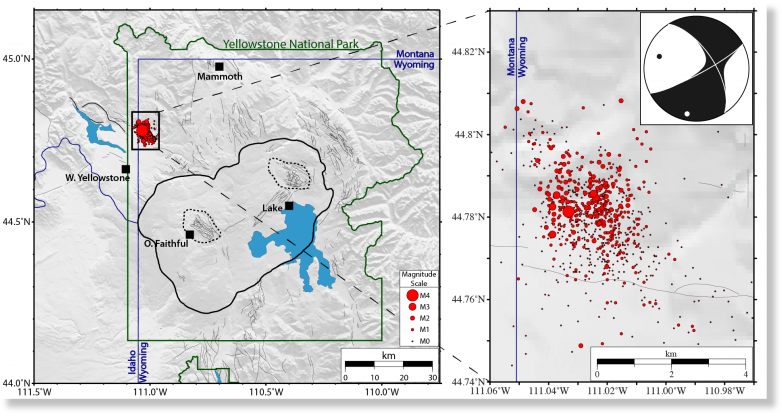 At the time, a spokesperson for the USGS said “slowly winding down,” adding that “no other geological activity has been detected.” However, in a newly released statement about the ongoing swarm, seismologists from the University of Utah said 878 events have now been recorded at Yellowstone National Park. 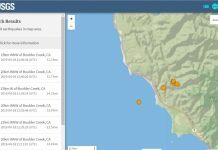 While increased seismic activity can signal a volcano is about to erupt, the latest earthquake swarm is no cause for concern. The swarm has slowed down considerably, and that larger swarms have been recorded in the past. The swarm in 2010 on the Madison Plateau lasted at least three weeks. In 1985, there was one that lasted several months. Yellowstone has had dozens of these sorts of earthquake swarms in the last 150 years it’s been visited. The last volcanic eruption within the caldera was 70,000 years ago. For magma to reach the surface, a new vent needs to be created, which requires a lot of intense geological activity. The volcano alert level remains at green. 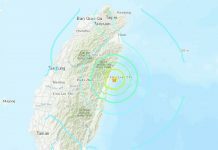 We would need to see considerably more and larger earthquakes, combined with contemporaneous ground deformation, steam explosions, and changes in gas and heat discharge prior to moving the alert level. None of that has occurred. The USGS says the current risk of an eruption at Yellowstone is one in 730,000. Furthermore, if it were to erupt, the eruption produced would probably be fairly inconsequential. If Yellowstone erupts, it’s most likely to be a lava flow, as occurred in nearly all the 80 eruptions since the last ‘supereruption’ 640,000 years ago. A lava flow would be a big deal at Yellowstone, but would have very little regional or continental effect. So what about this earthquake swarm? This is definitely not the biggest swarm ever recorded. The largest swarm ever recorded in Yellowstone occurred in October of 1985 and lasted for 3 months and had over 3,000 located earthquakes in it. In January of 2010 there was a swarm that had over 2,000 located events in it that lasted for about a month. Swarms in Yellowstone are a common occurrence. On average, Yellowstone sees around 1,500-2,000 earthquakes per year. Of those, 40 to 50 percent occur as part of earthquake swarms. This swarm is larger than the average swarm we record but this is a normal thing to happen in Yellowstone. Moreover, there are no volcanic signatures. This looks to be a ‘tectonic’ swarm in that these earthquakes are due to slip on small faults/fractures in the crust. There doesn’t look to be any evidence at this point that these earthquakes are related to the movement of magma in the subsurface. The United States Geological Survey reports that more than two dozen earthquakes rattled the Lake Tahoe region early Tuesday. 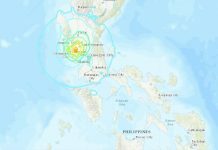 The largest earthquake measured a magnitude 4.0 shortly after 2 a.m. at a shallow depth. 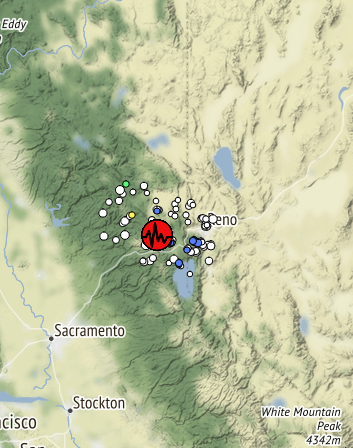 The earthquake was reported 11 miles (17 kilometers) from Truckee. Preliminary earthquake information shows that at least 28 minor aftershocks occurred in the area, ranging in magnitude from 0.6. to 3.2 following the 3.9 magnitude shaker. 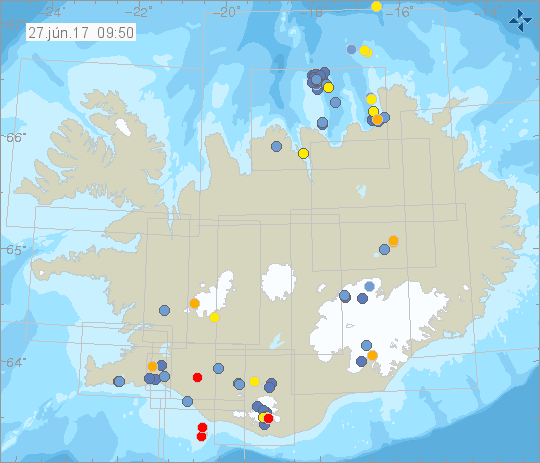 An earthquake swarm has started last night 230 km north off Iceland, with more than 50 small tremors and two earthquakes larger than M4.0 on the Richter scale. Oficials say there are no sings of an eruption and that the series seems to be linked to the movement of the American and the Eurasian tectonic plates. The epicenter, known as Kolbeinseyjarhryggur is directly located where two tectonic plates meet. Series of earthquakes aren’t unusual, though they were many and some of them large all at the same time. In any cases get prepared for a Big One!